Abul Thona Baraka, Hawassa, Ethiopia. Media: Custom-built metal stands produced by Ethiopian metalsmiths, Weatherproof photographic banners printed by an Ethiopian printer, Laminated gelatin silver and inkjet prints, 2 Peer facilitators, Coffee. Transported by light pick-up truck. 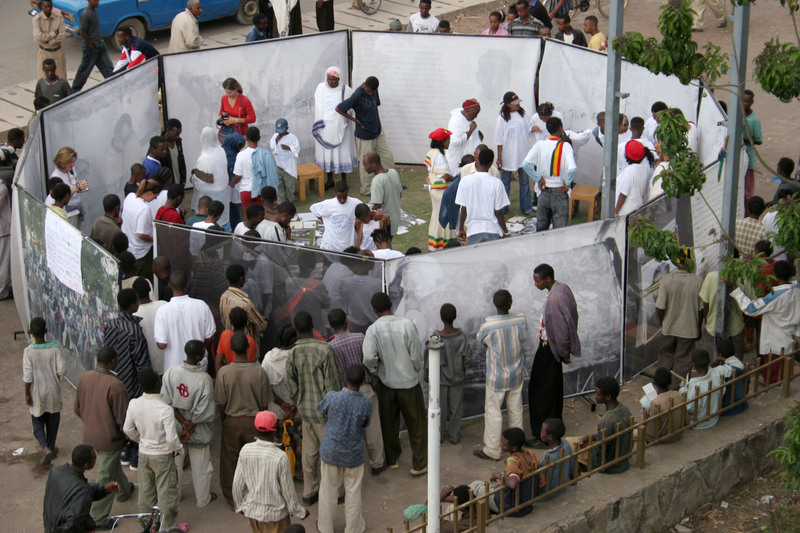 Installed in 4 meter diameter circle in various locations throughout Ethiopia.